The Famous Ring of Kerry and Skellig Ring. Recently we had the pleasure of being driven around the Ring of Kerry and the Ring of Skellig by Annie. There were 4 of us in the vehicle and we all enjoyed the tour very much, can't imagine doing it without Annie at the wheel. She had a wonderful way about her, knew all the places to stop and best of all knew how to navigate those narrow roads. We would not have enjoyed driving it on our own. Many thanks to Annie for a wonderful day! Ann was a great tour guide. She combines a wealth of local information, and she is a local, with a great sense of humor to make the tour very enjoyable. Our tour with Annie was amazing - she was fun, knowledgeable and so invested in us having a great day!! We told her some minimal info about where my mom's family was from and she went above and beyond to help us see where our ancestors lived. Everyone in our group from 7 to 70 loved our day and tour with Annie... many thanks!! Ann O Doud is a friendly, warm, fun guide with unlimited knowledge of the area having grown up there. She tailor-made our tour to fit our desires, plus gave suggestions to see other attractions we wouldn't have thought of that highly increased our enjoyment. She "read" us very well. It was a thoroughly marvelous day! We highly recommend her. Ann was a fantastic guide. She was very knowledgeable about the area, very flexible as to what we wanted to do and was very comfortable to travel with. I would highly recommend her without any reservation. TOUR GUIDE RESPONSE: Thank you for your kind review , it was lovely to meet you and your family. Annie . Ann was prompt, professional, funny and an incredible driver. She went above expectations to meet our individual needs. Since Ann was born in this area, she also gave us great insight into what it was like growing up here and what it is like now. I would highly recommend Ann as a tour guide. TOUR GUIDE RESPONSE: Thank you for your review. 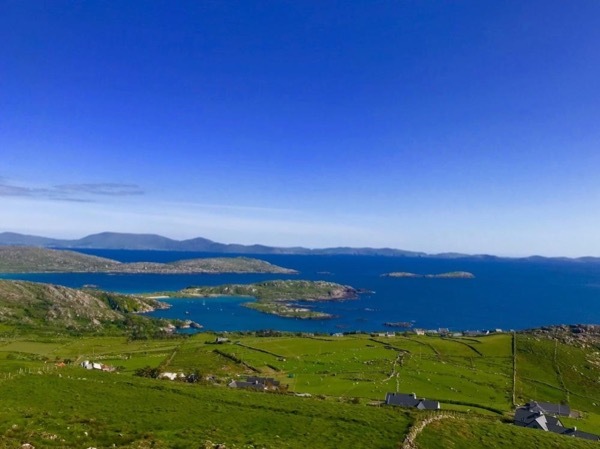 The Ring of Kerry and Skellig Ring a beautiful place to tour and I am delighted you enjoyed your tour with me. I hope you enjoy the rest of your hoilday in Ireland. kind Regards. Annie. Annie was fantastic. She went out of her way to suggest activities for us beyond our day long tour with her which exceeded our expectations. She knows the Ring of Kerry and surrounding sights like the back of her hand. She is a lively conversationalist, humorous and thoughtful. You can't beat a guide like Annie! What a great tour! It was an awesome day. Ann showed us more than we could've hoped for. She grew up in this area and so was extremely knowledgeable. We met some delightful Irish people and got to fully take in the beauty of this area of Ireland. I highly recommend a tour with Ann. TOUR GUIDE RESPONSE: Thank you for your very kind review . I am very happy that you enjoyed your day with me . I hope you and your family will return to Ireland . Kind Rwgards. Ann. We had a fabulous day with Ann who took us to the magnificent Dingle Peninsula with lots of stops along the way. She also drove on many roads less traveled and the entire day was absolutely wonderful. Ann is knowledgeable, charming and and great fun to be with. If it were possible to give more than 5 stars I would gladly do so. The Ring of Kerry tour with Ann was the highlight of our trip to Ireland. She was so fun, thoughtful and concerned for our well being. The special places that she took us to were off the beaten path, amazingly beautiful and created great family memories. I cannot say enough wonderful things about this fantastic day, thanks to Ann. More than a five star tour. TOUR GUIDE RESPONSE: Thank you for your kind review . I am delighted that you enjoyed your tour . Thank you . Kind Regards. Ann. Ann was a very knowledgeable and enjoyable tour guide. We enjoyed her enthusiasm and energy. She not only shared a vast amount of all her knowledge on the Ring of Kerry tour she also took time to take some short side trips as well. It was a great day! Ann is definitely a committed professional. While there was snow and ice the night before the tour, and gale force winds during the day, she none the less showed up on time and offered great suggestions, adapted to the weather, and provided an entertaining and engaging tour. We highly recommend her. TOUR GUIDE RESPONSE: Thank you for your review. The weather wasn't on our side but we had a great day anyway. Best wishes Ann.